Tinder is teaming up with Reddit co-founder Alexis Ohanian and Jennifer 8. Lee, the founder of emoji site Emojination for a new campaign #representlove to add interracial couple emoji into Unicode Consortium’s mix. Pambakian said Tinder “ideated the concept” for the interracial couples and is an author of the proposal. In detail, the proposal suggests 21 new character sequences that would include three skin tones: Light, medium, and dark. 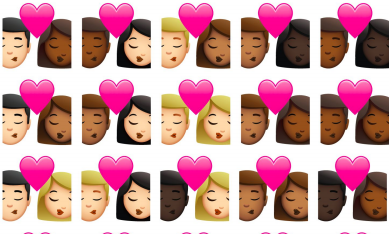 The dating app worked with agency Marcel Sydney on a film to kick off the campaign and showcase what a world with interracial emojis of couples could look like. While one user has called out the move as a “marketing stunt”, adding “the more specific you make the emojis appear, the more people are going to feel left out. It’s the biggest irony ever.” Others have been fairly supportive. Tinder is also customising emojis online for those tweeting images of their interracial relationships to them. Tinder users in particular, “swipe right on diversity”. Meanwhile 52% of respondents believe interracial couples are not well-represented in today’s tech language culture of emojis, GIFs and memes. The goal of the petition is to receive 1000 signatures and it currently has more than 2200 – so it is safe to say Tinder will reach their goal. The campaign aims to change the mind set of Singaporeans towards people with disabilities. .. Being innovative is key to a successful campaign. Here are the agencies who excelled in pushing new ideas, strategies and executio..